Never mind the phone -- check out that lighting. 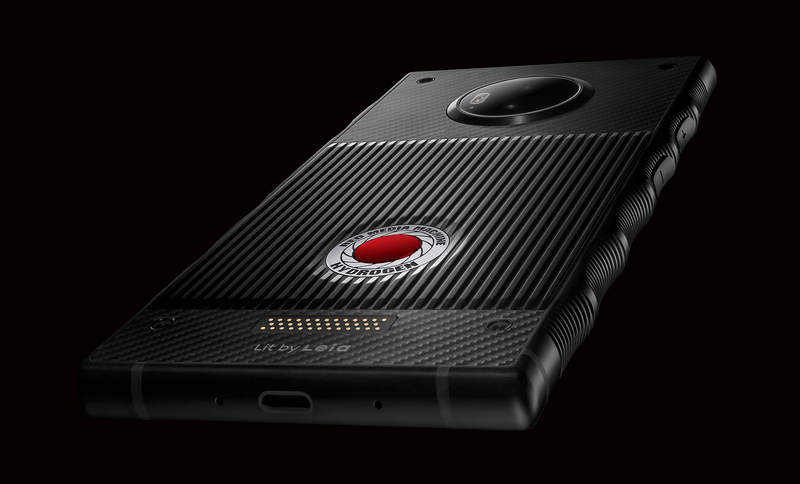 The RED Hydrogen One could be the phone of our bleeding-edge dreams, or it could be too good to be true. It sports an impressive holographic display and it's modular, allowing owners to bolt on accessories as they see fit. The Hydrogen bucks current design trends, too, opting for rugged, scalloped edges and a massive camera surrounded by carbon fiber. Until now, RED has only shown off renders of the phone and we've gotten a first-hand look at it, but this week founder Jim Jannard shared actual press photos of the Hydrogen. However, much like the phone itself, they look nearly too perfect to be real. The RED Hydrogen was supposed to come out in August, but certification problems pushed the release date to November 2nd (pre-orders will ship on October 9th). The Hydrogen will be available via AT&T, Verizon and Telcel for $1,295, in two colors: black and shadow. This is the aluminum version only; the titanium model will land in 2019. "Maybe the most novel demo I tried was a 4V-enabled video chat app, in which I could see my own face -- captured by multiple front-facing cameras with the same in-your-face depth as those movie clips. It wasn't just cool; it was utterly transfixing." A developer version of the phone, named Houdini, is scheduled to ship in late August (hey, that's now) and September. RED has been hesitant to share photos of the Hydrogen's display, arguing it doesn't come across well on-camera, but this week's batch of images includes a shot of the phone with the screen up. Closer and closer.